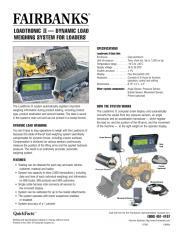 The Loadtronic II system, a dynamic on-board weighing system for wheel loaders (wheel loader scale), automatically registers important weighing information during product loading, including product type, product destination and amount loaded. 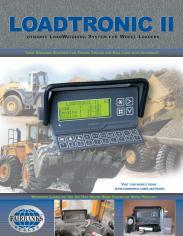 The data is saved in the systems main unit and can be printed in a receipt format. 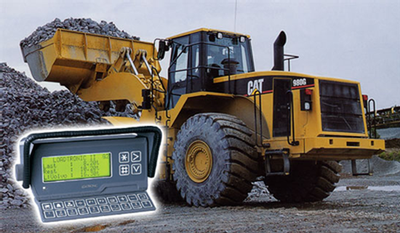 Automatic compensation of changing forces, including uneven surfaces, is achieved as various sensors continuously measure the position of the lifting arms and the applied hydraulic pressure.